The province of Saskatchewan has not been kind to the Edmonton Prospects. The Prospects fall to 1-4 on the annual road trip after losing both games in Weyburn versus the Beavers. The road trip ends on Monday where it started in Swift Current. Josh Sieglitz, who entered the game with two sparkling three inning relief appearances under his belt, was your Prospects starter. 3 hit batters and 3 hits against, Sieglitz walked off the mound after the first inning down 4-0. Head Coach Ray Brown allowed Sieglitz to come out and start the second inning but his night ended after a lead-off walk. ““There have been lots of people who have doubted me over the years, but I love proving them wrong and proving myself right. I love the big moments. The late inning games where I can be in a position for a walk off hit, or make a big play to help us win the game. Those are moments I live playing the game of baseball…. I’ve always had to work hard with everything when it’s come to baseball. There aren’t many ways to stand out when you’re a guy my size playing baseball. The one thing I can do is play as hard as I can to try and stand out that way…. With Takhar on first base with his team leading 13th walk of the season, Daylen Calicdan hit a single to put runners on the corners for Nick Spillman. Spillman hit a single to center field which was mishandled and allowed both Takhar and Calicdan to score. Tony Olson drove in Spillman with a double. Olson and Spillman are now tied for the team lead in RBI with 14. Michael Gahan collected his 2nd RBI of the season plating Olson. The Prospects clawed all way back to a 1-run deficit at 5-4. Scott Gillespie, who took over for Sieglitz on the mound in the 2nd inning, ran into some difficulties in the bottom half of the fourth. With one run already in, the Beavers loaded the bases. Nolan Machibroda, who finished the night with 6 RBI, drove in two of the three runners. Anthony Tejada brought in the last runner ballooning the score back to a 5-run deficit at 9-4. Gillespie pitched into the 6th inning leaving the bases loaded with only one out. Marion McLean would collect two strikeouts but Felix Correa drove home two runs making it 11-4 Weyburn. Brandon Hill pitched the 7th inning and struggled with his control loading the bases with a hit batter and two walks. Two of those runners scored making it 13-4 Weyburn. Mike Ozga pinch hit for Spillman in the top of the 8th inning and drew a walk. Ozga has had limited appearances so far this season. If you wanted to get to know him better there is a “get to know him” piece on albertadugoutstories.com called 1 Thru 9: Mike Ozga. Jake MacDonald, who earlier subbed into the game at catcher for Anthony Cusati, extended his personal hitting streak to 4 with single to right field. Both were stranded on base. AJ Nitzschke made his Prospects debut on the mound in the bottom of the 8th inning. Nitzschke alternated between strike outs and allowing a baserunner. Maybe not how you write the script, but effective nevertheless! Tony Olson takes the “Player of the Game” going 2-for-4 at the plate. His double was the only Prospect hit that went for extra bases. Saturday, June 30 vs Melville Millionaires at 7 PM – Tickets just $10 for students and the band starts at 5pm. Get to the pre-game concert early and party in the Prospects’ Pit in the stand-up 1st base area. Stay and enjoy the game that starts at 7pm. Cheap beer and cheap fun! CANADA DAY – 7 PM vs Brooks – AVOID DISAPPOINTMENT, BUY THESE TICKETS NOW! 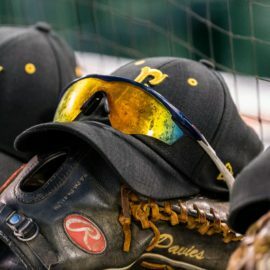 Edmonton Prospects Back On Winning Track!